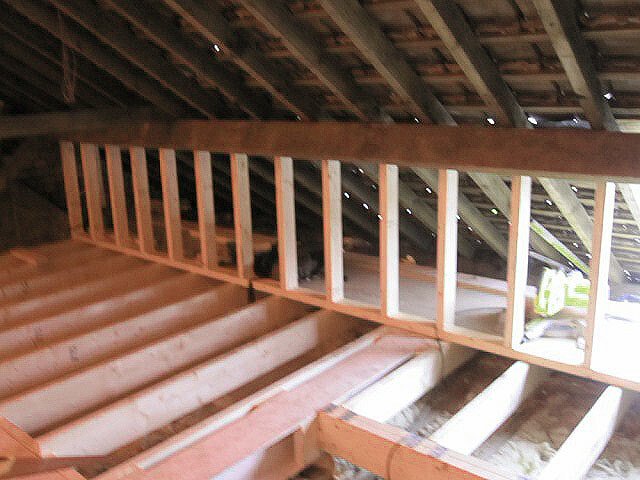 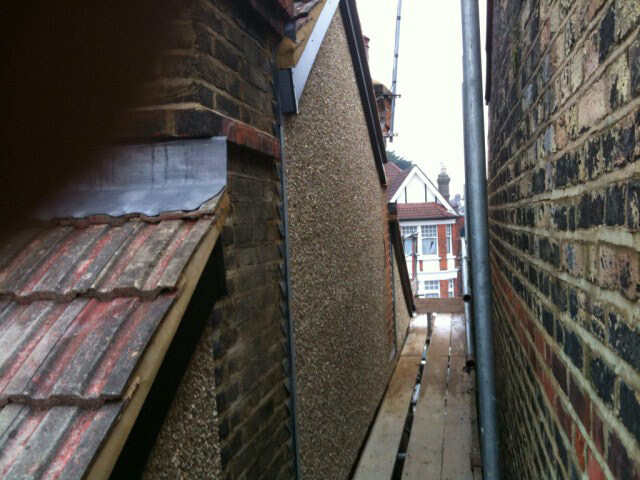 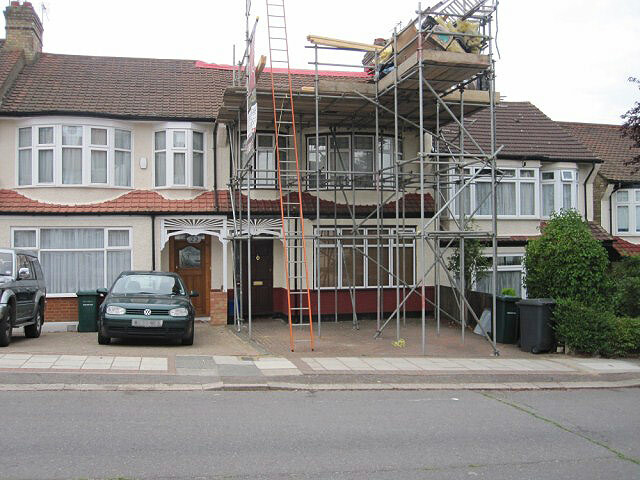 Scaffolding is erected to provide independent access to the loft. 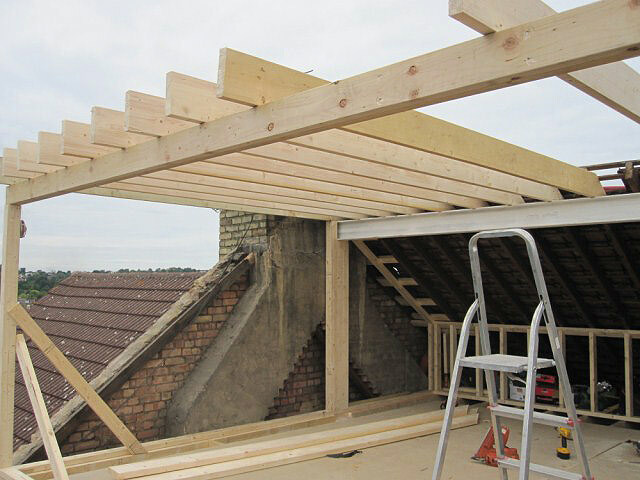 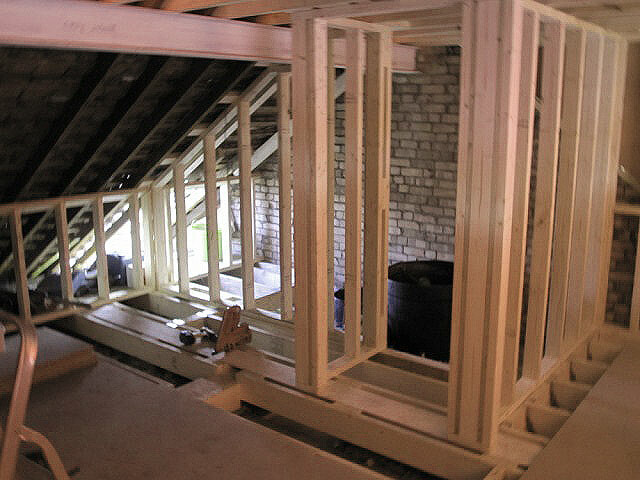 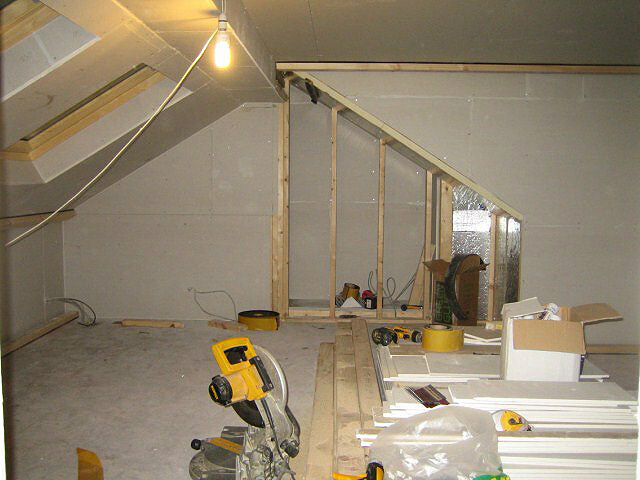 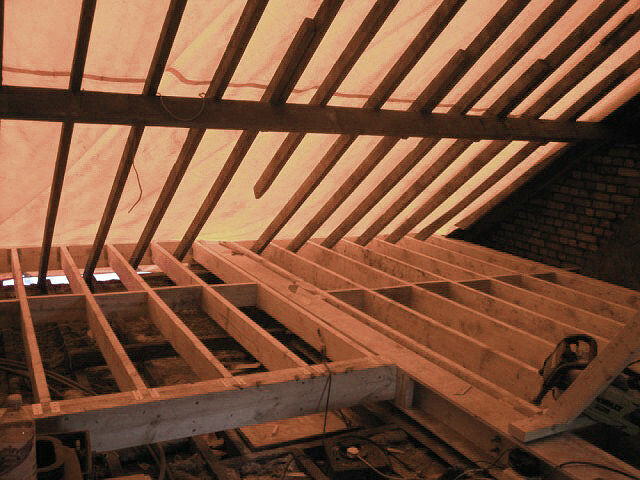 Structural beams are installed into party walls to form independent timber floor support and front roof elevation with dwarf wall. 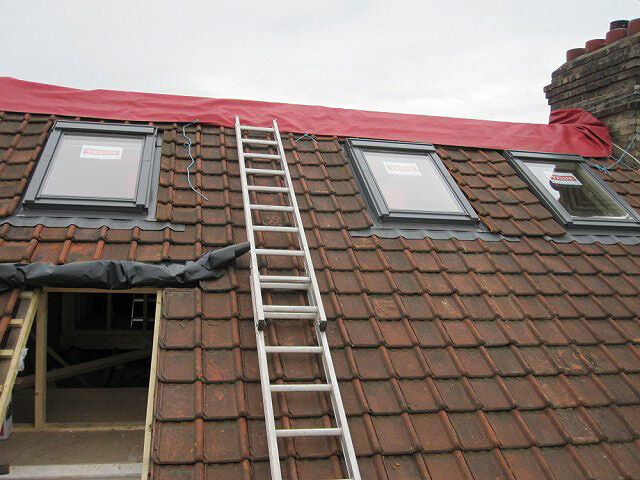 Create Dormer structure and install Velux windows. 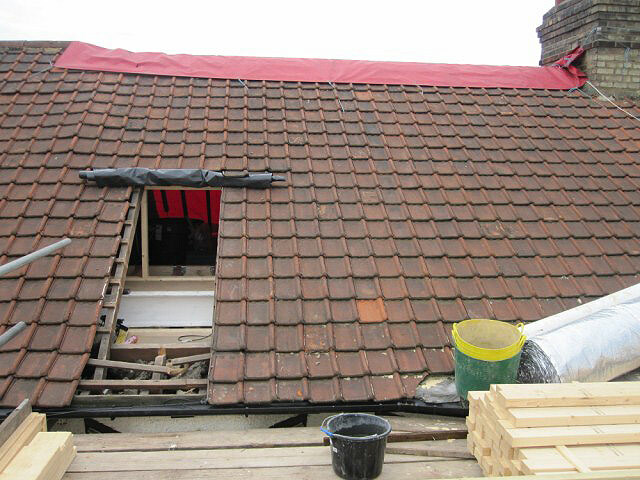 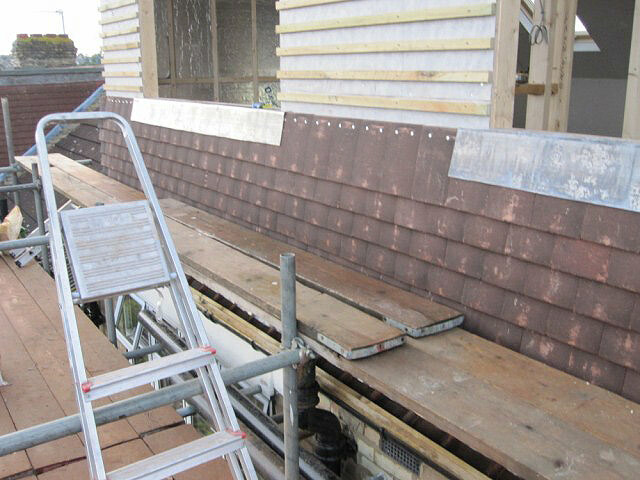 Complete roof tiling to both new dormer and front roof elevation. 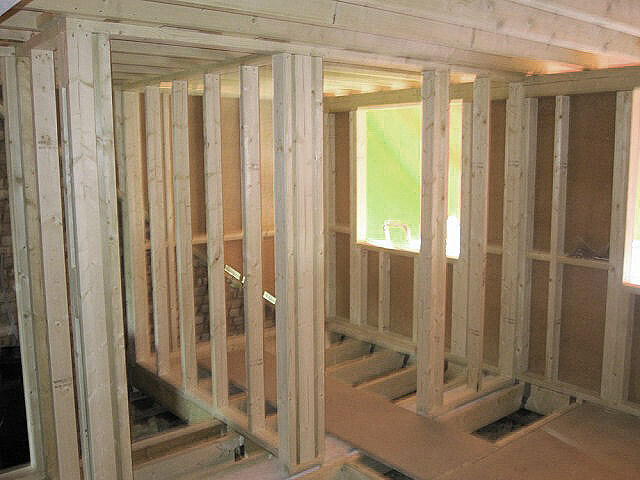 Build interior partician, doorways and ceilings. 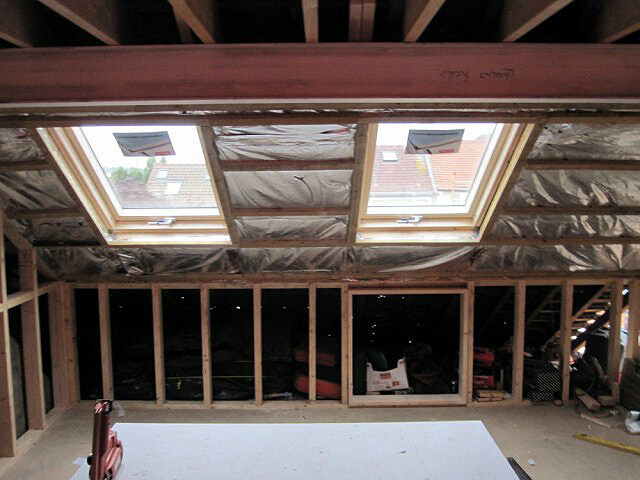 Install double glazed windows. 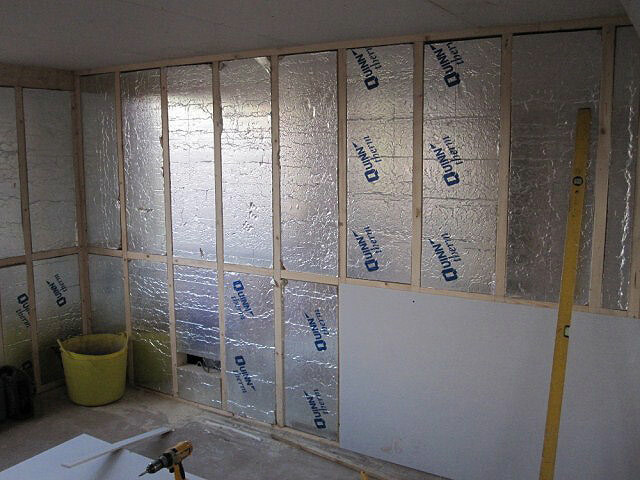 Floor and wall insulation. 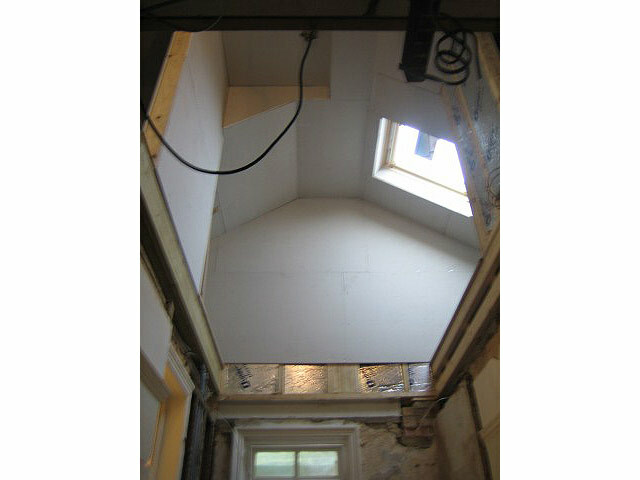 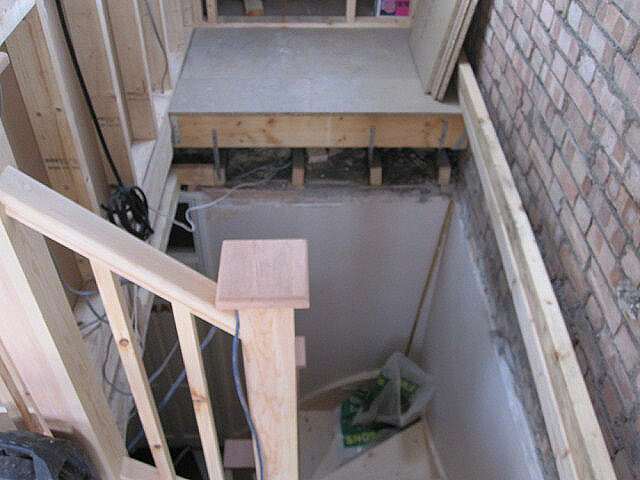 Create new access staircase between loft conversion and first floor. 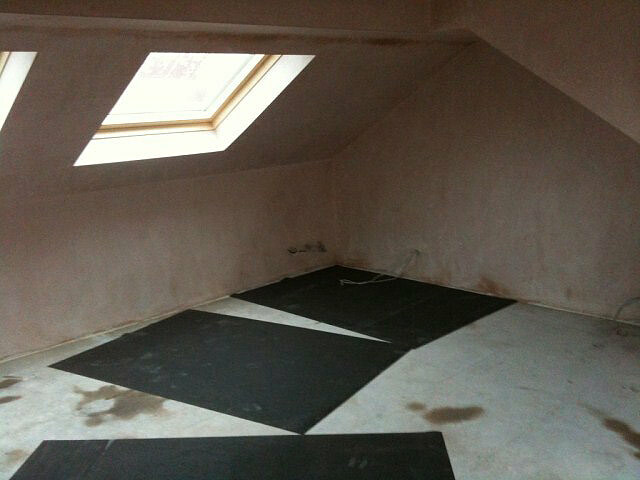 Then plasterboard throughout and finally finish with a plaster skim.